Item # 155975 Stash Points: 5,999 (?) This is the number of points you get in The Zumiez Stash for purchasing this item. Stash points are redeemable for exclusive rewards only available to Zumiez Stash members. To redeem your points check out the rewards catalog on thestash.zumiez.com. 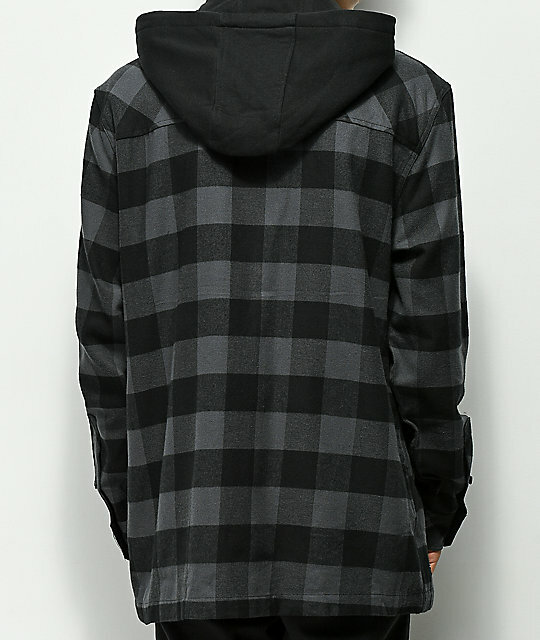 Expand your wardrobe to include Lurking Class By Sketchy Tank's Lurking Class Zippered Black Hooded Flannel Shirt. 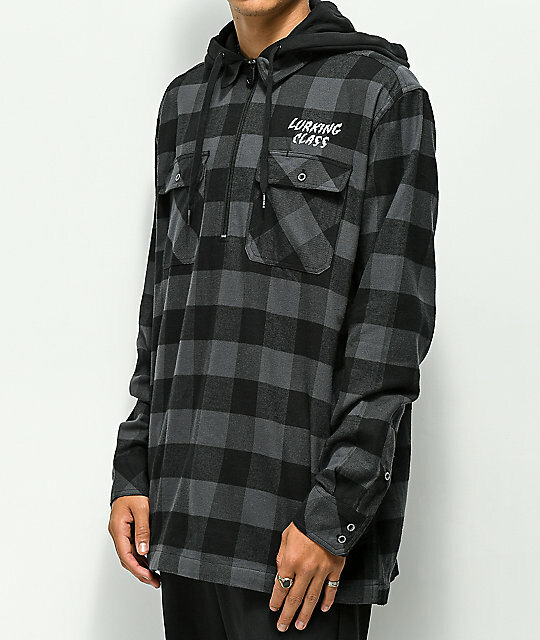 Providing your look a fashionable layered look, this hooded flannel comes complete with a quarter zip up closure, a four pocket configuration and an adjustable drawstring hood. 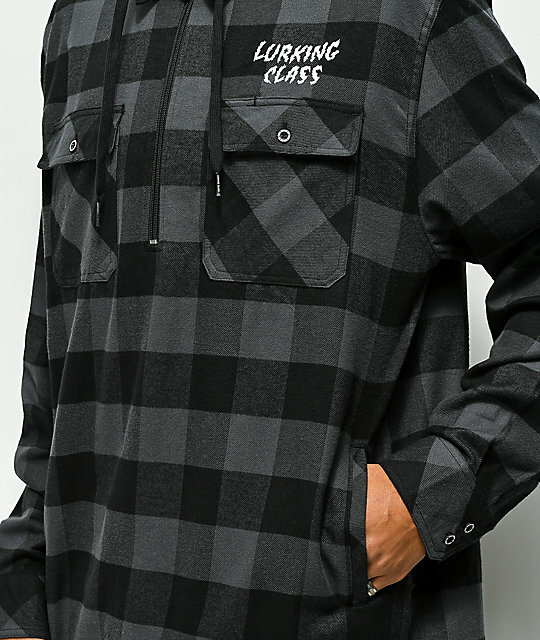 Lurking Class Zippered Black Hooded Flannel Shirt from Lurking Class By Sketchy Tank. Black and grey plaid print design throughout. Dual chest pockets with button up closure. Brand tag on bottom right front. Body: 100% cotton, Hood: 60% cotton, 40% polyester. 31.5" (80 cm) from top shoulder seam to bottom hem.